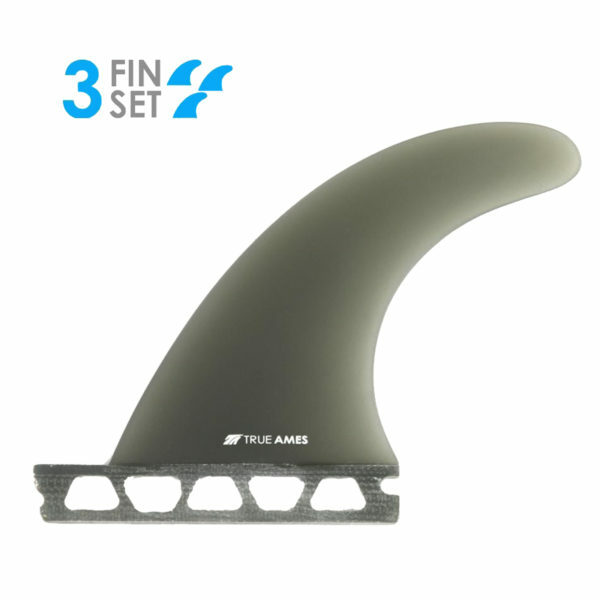 Another beauty of a fin from True Ames, the Boomerang thruster set is a product of the San Diego glider and mid-length culture and has been highly praised by the likes of Skip Frye and Bob Mitsven. This set was spearheaded and designed by local native Jeff Grennan. The minimal area and large amount of rake in this template provides high trim speed and down the line flow, qualities that seamlessly fit within anyone’s hopes for ultimate glide.